Former BBC outside broadcast vision engineer John Coupe at work during an ADAPT re-enactment in May 2016. John Coupe’s engineering career first started when he was 16, as an apprentice telephone engineer for the Post Office. In 1970, John left the Post Office and joined the BBC as a direct entrant engineer and spent the opening months adapting his engineering skills to the requirements of colour television. Upon joining the BBC, John was struck by the free and open working culture for engineers in outside broadcast production. 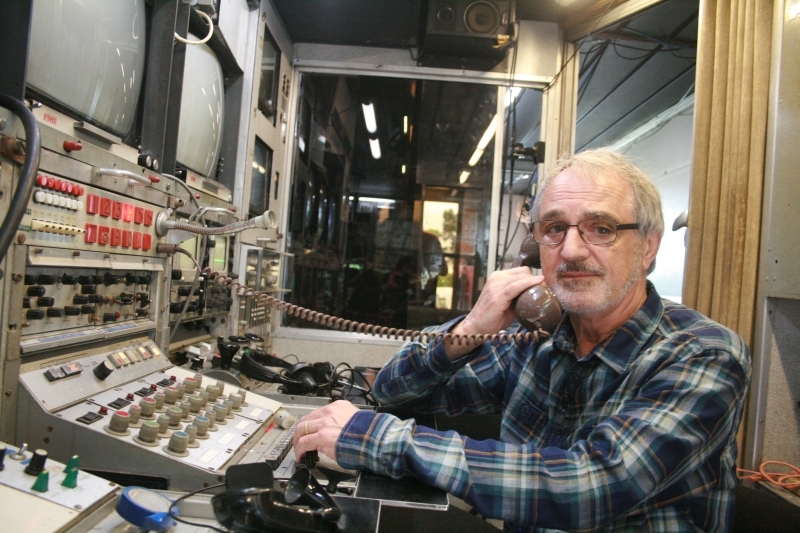 Unlike his previous career, the ‘get it done, no matter what’ mentality of OB crews and the time sensitive nature of live transmission, gave engineers great freedom to fix equipment in their own ways, learn off each other on the job, and make decisions about how to deal with problems as they arise. John was put straight to work as an operational engineer on the then state of the art Type 2 outside broadcast scanners. 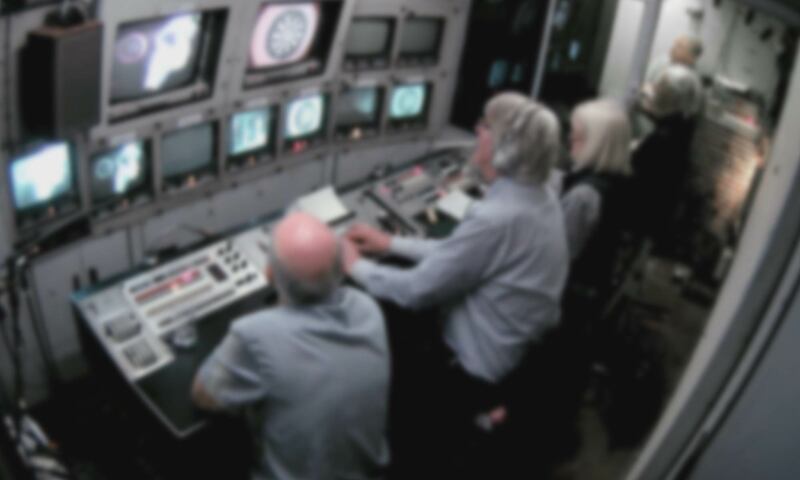 On a colour OB, the engineering team consisted of a supervisor three engineers and a technical assistant. They were responsible for day to day maintenance of all the technical equipment in the OB truck whilst “on the road’. Most of his day involved repairing and maintaining the array of complex equipment within the scanner. All outside broadcast trucks were dispatched with a set of spares so that any faulty items could be quickly replaced with a working version. In theory, this allowed for complex and time consuming repairs to be conducted back at base but, in practice many repairs still had to be made on location. A particularly dreaded job for engineers was repairing and replacing the tubes within colour Pye and EMI cameras. Once light enters the cameras it is separated into three separate beams of red, green, and blue light. Each colour is captured by an individual tube sensitive to that wavelength, and a colour image is broadcast by combining the three signals into one full colour image. For this to happen, the individual tubes must be fixed inside the camera body with extreme accuracy. John recalled: “Three tubes, four for the EMI cameras, had to be inserted at a precise angle so as to line up with a prism in the middle. It was really difficult to get them aligned properly whilst keeping them dust free.